December is a very pleasant time to be in Hong Kong with cooler and drier temperatures as the WinterFest celebrations are getting underway. With Christmas just around the corner, the lights, decorations, and smells of the season are permeating every corner of the land. Santas, caroling angels, snow flurries, glittering stars, all come together to get you in the mood of the holiday. 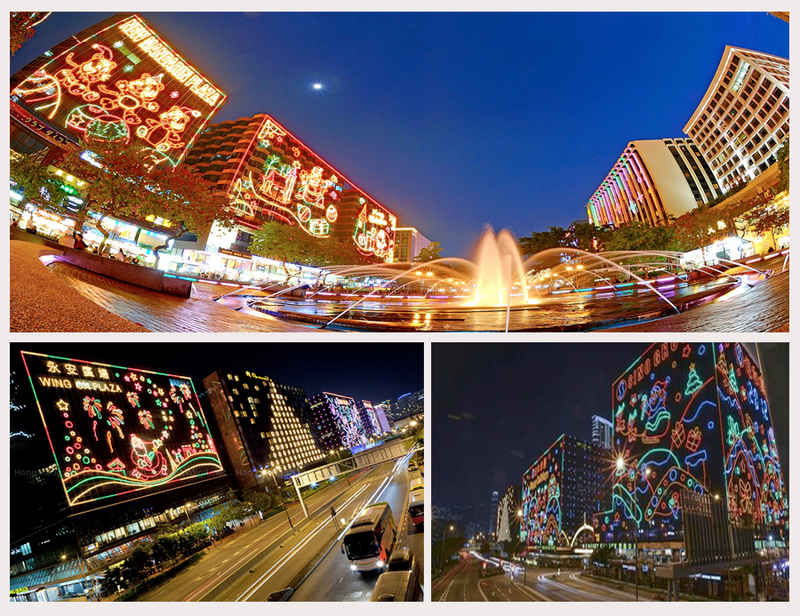 One of the Christmas activities in Hong Kong is being Christmas lights appericating. Building/corporations that own buildings in front of Victoria Harbour would pay for making christmas lights in order to decorate the harbour. The Below show how usually the Christmas lights look like in Hong Kong. 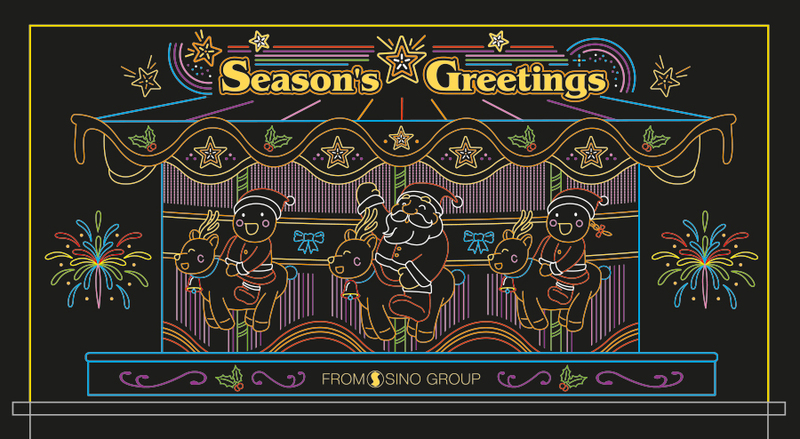 Back in 2005, the agency I was working in was responbsible for Sino Group's buidling christmas light design. I therefore need to help create Santa drawing for some of the buildings. 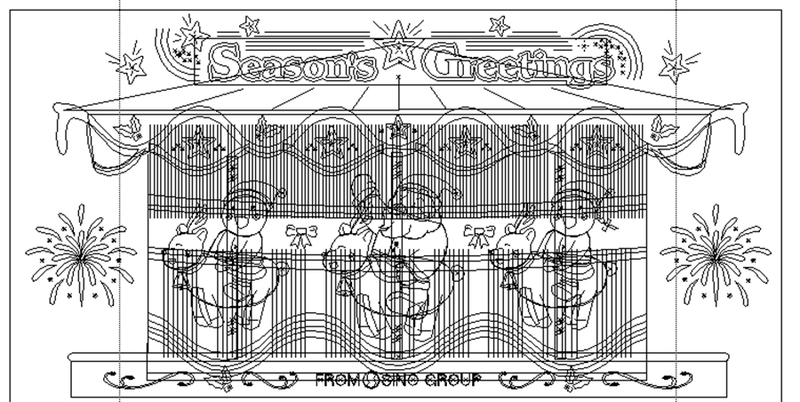 Basically I created the drawing in ai, having 2- 3 layers to show how the animation is going to works - such as Santa and the kids waving hands, how the fireworks and stars in the graphic would shine. The actual drawing in AI. When agreed with the graphic, we will move on to make it animated. The animated sample in gif format. This is for the production house reference only. They may modifty due to the productiontime. And this is how the drawing came to real life - picture taken from one of the biggest local newspaper, apple daily.